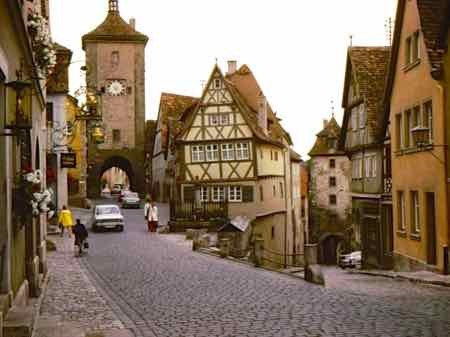 The most popular of the Romantic Road towns of Bavaria is undoubtedly Rothenburg ob der Tauber. But there are other great towns to explore along this picturesque route. We think driving is a great way to have time to see the towns and scenery in this beautiful corner of Germany. Starting in the north, the first town to explore is Wurzburg. Must sees in this town are the Residenz (the Prince-Bishop's Palace), and the Marienberg Castle Fortress. If you want to try a little wine tasting, this is the center of Germany's Franken wine growing region. Following the road south you meander between the Tauber River and vineyards. 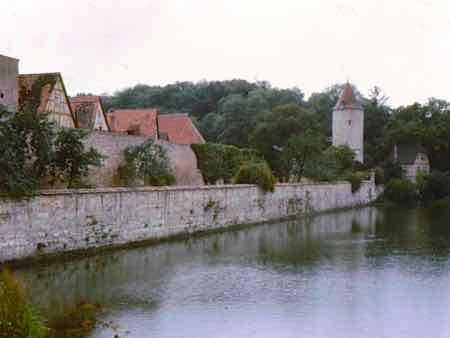 See the Weikersheim Schloss (Castle) in the little town by that name. You can take a guided tour of its baroque interor. Linger for lunch and a glass of wine at the historic Marktplatz (Market Place) in town. Of all the towns on this route, this is the one you've probably read about. This little town looks like it stepped right out of a German fairytale. It's true that if you only have time for one or two of the Romantic Road towns, Rothenburg ob der Tauber should be at the top of your list. The city walls and the medieval town seem like they were untouched by time.... except for all the tourists. You should be prepared for crowds during the day, but the town is worth it. 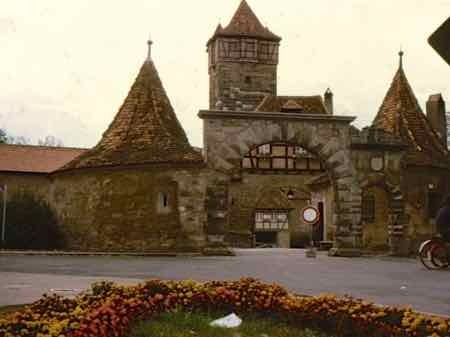 Dinkelsbuhl runs a close second to Rothenburg ob der Tauber. It also is still surrounded by its medieval city walls and looked over by its towers. It's quieter, though there are still plenty of tourists. That will make you think of Hansel and Gretel! This is the other town that most buses allow you to spend a couple of hours in. Our first visit was for two hours that way... we grabbed some gingerbread and spent the time exploring... you should allow more if you can. Nordlingen is smaller, but no less charming. It will take you less time to walk those well preserved town walls... which have little wooden roofs as they did in medieval times. One interesting little tidbit is that the town sits in a crater formed by a meteorite strike. If you're interested you might want to visit the Meteor Museum (Reiskrater-Museum). Further south you'll pass through Augsburg, a big city by Romantic Road standards, but historic. Finally, you'll end up in Fussen where you'll be in the area of Mad King Ludwig's Neuschwanstein Castle which you will definitely want to see. Augsburg is very close to Munich and Fussen is a bit southwest, so you may just decide to visit Munich first. 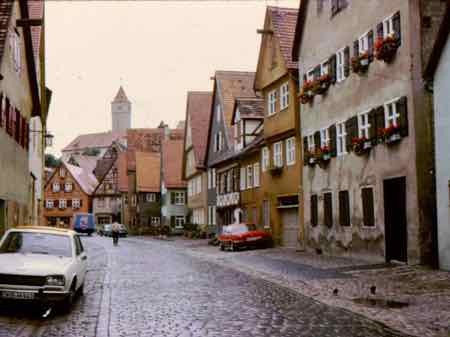 Rothenberg ob der Tauber, Dinkelsbuhl and Nordlingen are close to one another, and together they make for a nice compact tour of Romantic Road towns. You can drive this area, take the train to most of the towns, take a tour, or ride the Europabus which links most of the towns. The Europabus travels in both directions from May to October. It's a convenient way to travel without worrying about a rental car and parking. However you choose to explore the Romantic Road towns, allow yourself enough time so you can really enjoy their charms.